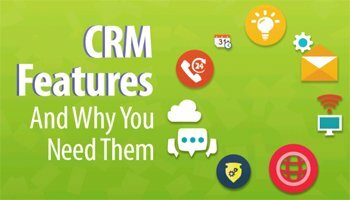 If a significant customer relationship management (CRM) system project is on your agenda, here are some checklist items that the vendor proposal you have should contain. Social media integration and omnichannel support is also a key factor to be considered while analyzing a vendor proposal. To know that consumers and professionals log on to social media networks by the millions every day, you don’t have to be a Twitter, FaceBook, LinkedIn, or Yelp user yourself. Your CRM project needs to at least have a strategy for integrating the customer touch points, whether it’s Salesforce Chatter for internal collaboration or Reputation Defender for brand monitoring. And omnichannel is also for support as it is for sales. It is an unavoidable factor if you want to be a leader in your marketplace. Also, remember that GDPR compliance is a part of the project. Apart from confidential information (PCI), Health Insurance Portability and Accountability Act(HIPAA), Family Educational Rights and Privacy Act(FERPA), and other compliance acts to be adhered to, the General Data Protection Regulation (GDPR) applies to nearly any business, even if you don’t do business in Europe. This is because the moment you get an email from anybody with a European passport, irrespective of where they live, you’re on the hook. And the penalties are amazingly severe. So apart from the vendor claim that they will make you “GDPR enabled”, your project needs to deliver a system and a set of processes that are GDPR compliant from the day they are deployed. This is not simple. This brings us to an end of the mandatory points you should look out for in a CRM vendor proposal. For more such insights, keep watching this space.